In 1980 Charley Gray closed The Island of Real, a coffeehouse in Airedale St that opened into a backroom with a stage. It was a cosy spot with an open fireplace, booths and a PA playing Charley’s favourite jazz. Opened in 1977, Charley and his wife Anne built The Island of Real into an important all-ages venue for original music from jazz to rock. Charley was also the manager of Th’Dudes and was often on tour with the band. I was working as a radio announcer on 1ZM’s night shift and had just established Ripper Records the previous Christmas. A change in policy and format at 1ZM killed my night slot, so when the news that the venue was up for grabs I consulted my flatmate Garry Sommerville and my girlfriend, Sheryl Morris. Sheryl had heard that Charley was selling the lease to the premises but keeping the name. 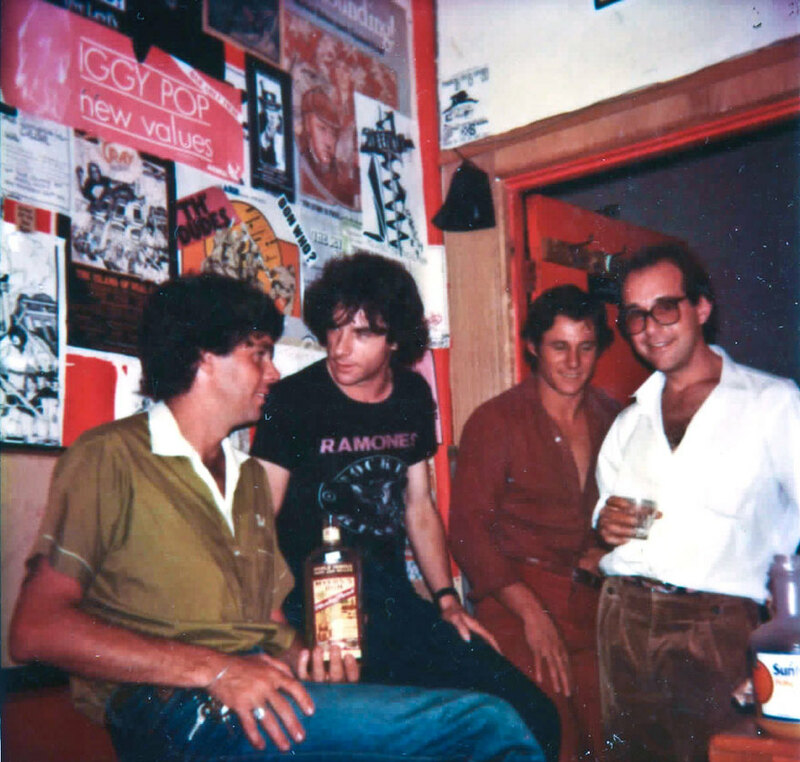 Garry had been working in a record store in San Francisco and thought a punk rock venue would be the go as he was on a Ramones kick at the time. Sheryl could see herself running a nightspot so we approached Charley with an offer. As we didn’t know what to expect there was nothing to disappoint us, but we paid for a lot of kitchen equipment, tables, pews, bits of a PA and manky old carpets. There was no lease; the council was going to bulldoze a new road named Mayoral Drive through sometime in the future so it was month to month as an unlicensed venue and we weren’t to go upstairs. There was a second entrance leading to an unsafe staircase then a huge, open loft inhabited by rats and pigeons so we didn’t argue there, we just wanted to get underway. I turned into Tom Sawyer, inviting hapless friends to come down and see the place (read: lend a hand) as we painted the interior red and black. We arranged insurance, had more friends bake cakes and quiches for us to sell, and bought a complete range of milk shake flavourings. Two old fridges clanked away in the covered alleyway and a toasted sandwich machine completed the picture. There was coffee ­– in those days a constant standing Cona machine, which was barely a step up from instant. Garry’s girlfriend came up with a name and a sign was commissioned. 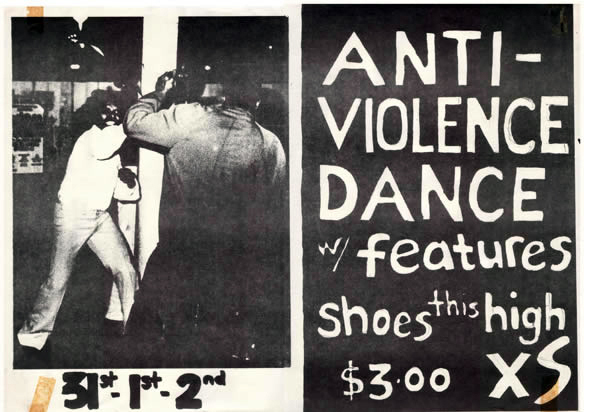 Hey ho let’s go, and on May 12, 1980, we threw open the doors and the Techtones played to a full house. Auckland in 1980 was very different compared to now. You could drive into town and park your car at night on any of the roads just off Queen St. A packet of Benson and Hedges cost $0.85 and a loaf of bread was 75 cents. $100 was a lot of money. We took over a small hall where people stood to hear a band or sit in a booth in another room nursing coffee and cake. No one made any money with a 60 person capacity, but a lot of bands and a lot of people had fun in the 16 months that XS Café was open. The bands were really our reason for being there. Buying groceries, cooking and cleaning, washing dishes or serving food were things we each saw the other two doing but most nights we would get a call from the door to announce someone who wanted to come in and stand behind the counter and help out. On our second weekend we featured Ripper Records band The Swingers. This was to be a “private party” as we wanted to serve beer. I bought a copy of the liquor laws and figured out that if we were holding a wedding and hiring a hall we could serve booze, so I applied that to our current situation. I can’t remember what I did but waving a copy of the act I managed to send away the police patrol that heard we were up to no good. It was too hard though and we didn’t sell to the public again. Besides, we had the only unlicensed venue for bands, which attracted high school kids. The useful thing I found out though, was that workers could legally drink behind the counter and that certainly increased the number of volunteers on a night with a popular band. Before we could have any thoughts about lunchtime openings we were overwhelmed with requests to use the place as a practice room for bands. A group from Christchurch called Pop Mechanix came to Auckland and spent their first week practising and sleeping in the booths as they looked for a house and waited to play the following weekend. 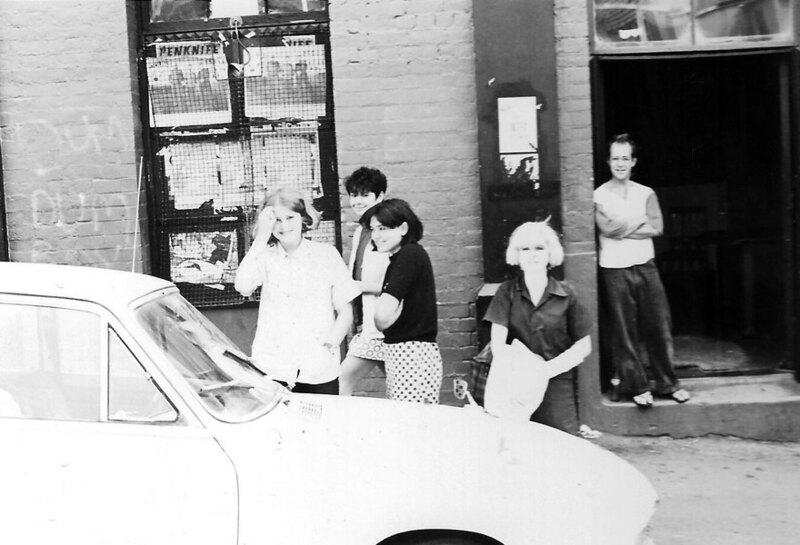 Pop Mechanix developed a mod revival following, people on scooters who looked extremely worried at our other regulars – the boot boys. The boot boys were usually skinheads or sported number one haircuts and went out with girls who looked much the same. Some were in the army at Papakura and came up by train to XS each Saturday night. 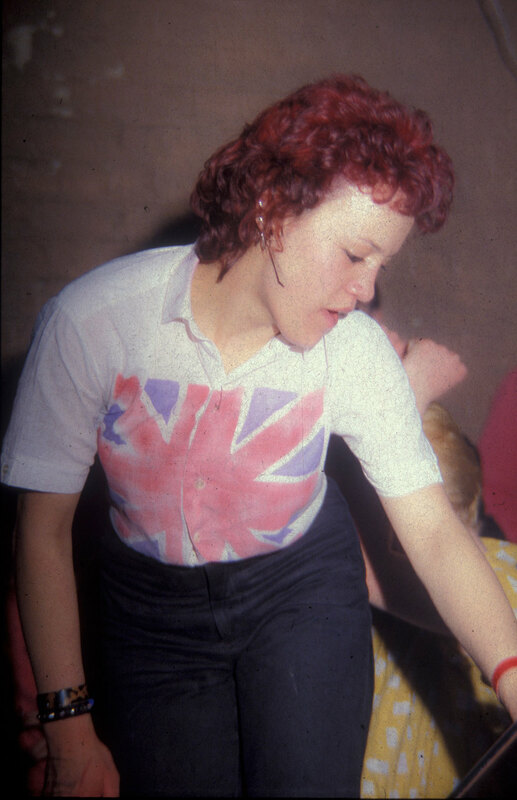 The boot boys were usually skinheads or sported number one haircuts and went out with girls who looked much the same. Some were in the army at Papakura and came up by train to XS each Saturday night. 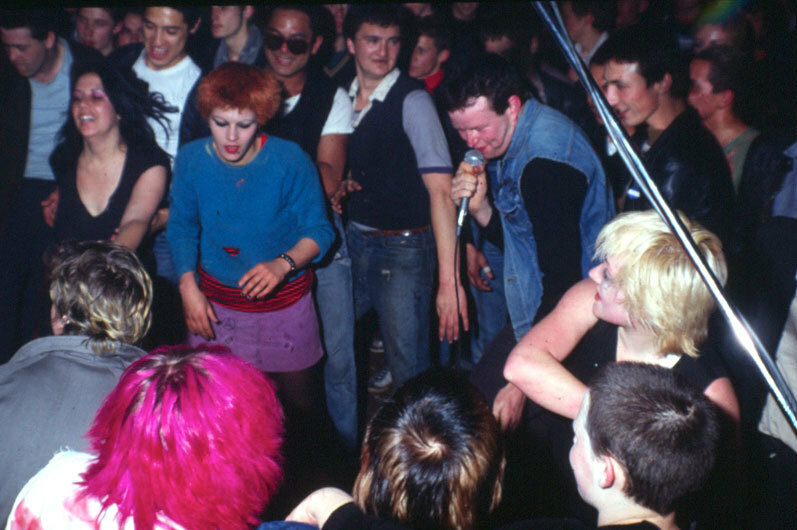 A couple of years previously the punk rock night spot had been a mile downtown off Durham Lane, a place called Zwines where goth-like punks crept past disco lovers in white suits. The boot boys’ enthusiastic dancing, resembling Masai tribesmen bouncing on the spot, tended to become a little rough and tumble on the landings, which often led to push and shove fist fights. We knew most of the regulars and when fights occurred I would push the lesser opponent out the door and slam it quickly. We had a famous security guard named Alby, a huge benign Māori gentleman who nobody thought to cross. We weren’t as rough as Zwines but we would regularly have our toilet smashed in the men’s room and holes punched through the gib board wall. Garry fixed that; one day, instead of replastering it we bought a length of sheet steel and screwed it across the wall then painted it accordingly. There was no more trouble after that. Well, no more trouble with the walls. Some said XS was a rough joint but certainly we never called an ambulance, nobody died and the only time we called the police was to report a drunk who was badly imitating a police officer and throwing his weight around. The police though, had other ideas. As 1981 came around the country became polarised over a tour from the arrogantly racist South African Springbok team. The police were looking forward to six months of running street battles against crowds armed with sticks and crash helmets so they decided they were not going to be solely defensive. 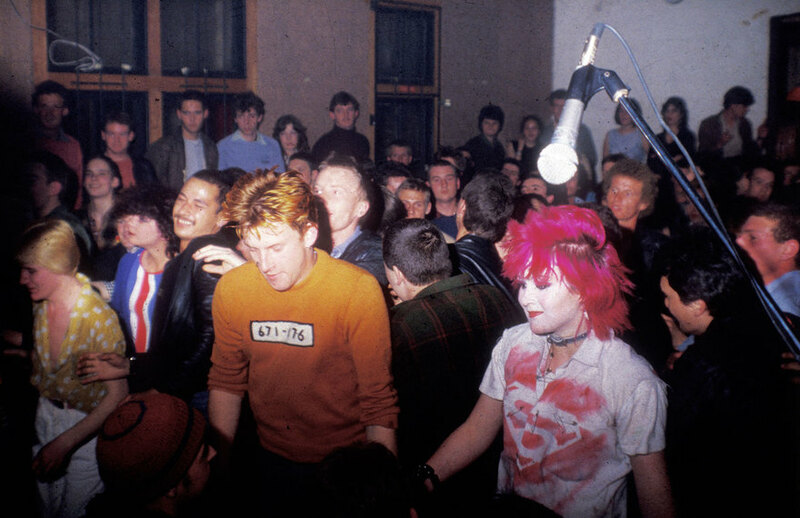 One night a squad of about 20 cops stripped of identity badges wearing full face helmets shouldered their way in while The Newmatics were playing, ostensibly after someone "who had thrown a bottle at an unmarked police car". I was making a toasted sandwich and as I turned back with the order I saw the customer on the ground being flailed with batons. An officer had pushed him in the back, and as he tried to stop himself falling he was deemed to have “struck” an officer, who defended himself by cracking the guy over the head with the newly issued long batons. People were screaming and trying to run out of the way, chased by police swinging left and right. Garry approached the officer who was standing and watching, and asked what the trouble was. “Button yer lip mate or you’re in the van as well,” was the officer’s advice. Those who seemed to be most affected by the brawl were The Newmatics. 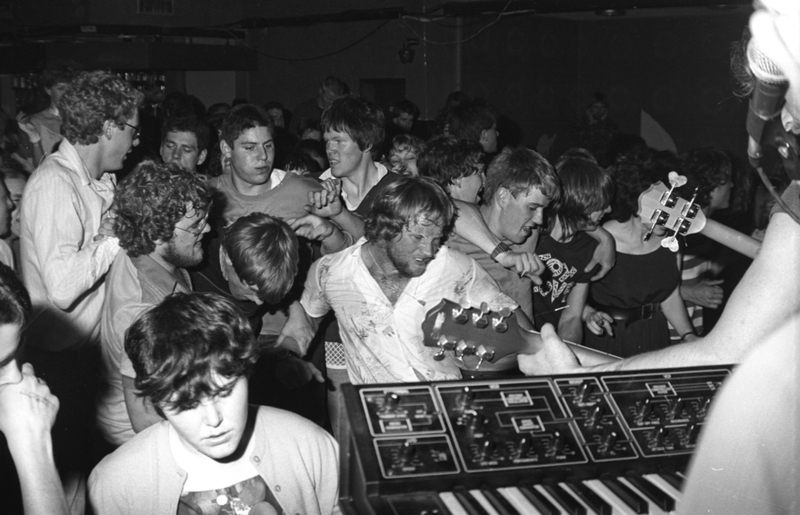 From their raised position on stage they saw the whole thing, which became immortalised in their subsequent song ‘Riot Squad’. The experience didn’t traumatise vocalist Mark Clare too much though – he went on to play a police officer on Shortland St.
Another regular at XS who became an actor was boot girl Rena Owen. She had achieved a degree of infamy when The Spelling Mistakes used her name in a song. Guitarist Warwick Hitler had written a comic ditty ‘Rachael’s Piss Flaps’ about the girlfriend of original bass player Keith Bacon. He left the band and threatened to do the guitarist a mischief if he kept singing the song, so Rena intervened and said they could use her name instead. It didn’t do her reputation any harm and she went on to become one of New Zealand’s leading actors with the movie Once Were Warriors. At the 1998 Spelling Mistakes reunion shows, Rena Owen joined the band on stage to sing her song. No one knew Sam Neill as an actor in those days when he directed a movie scene shot at XS one night. Sam had been following the theatre troupe Red Mole around New Zealand directing a short film and when they booked the venue to perform The Red Mole Version with members of the symphony orchestra, the venue briefly became a movie set. If asked to characterise our crowd I would say it was best represented by the Screaming Meemees who always showed up with an entourage. As well as the Thursday to Saturday night bands, XS Café was often booked for private functions. Toy Love, who had appeared on AK79, returned to New Zealand from Australia and launched their LP at a media party; Jim Vivieaere held an art exhibition; a wake was held on another occasion for a popular junkie who had died on the streets and all our desert spoons went missing; and three regular girls from Epsom Girls Grammar booked the venue for their end of year party. If asked to characterise our crowd I would say it was best represented by The Screaming Meemees who always showed up with an entourage. Some of the band members had sisters who were loyal fans and they had lots of girlfriends. Where girls go, boys follow, so when The Meemees booked the venue, we didn’t mind letting the sisters in as well, for we knew a paying crowd would follow. 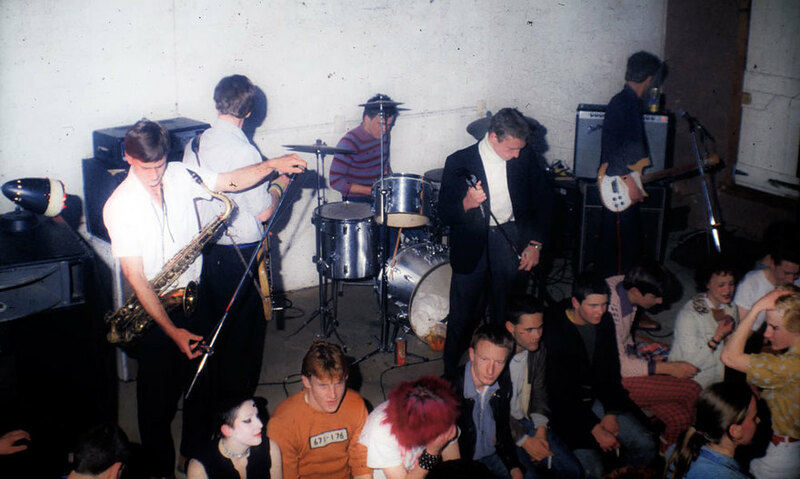 Of the six bands that played on AK79, I said before that The Swingers were the only ones left in Auckland when XS opened. 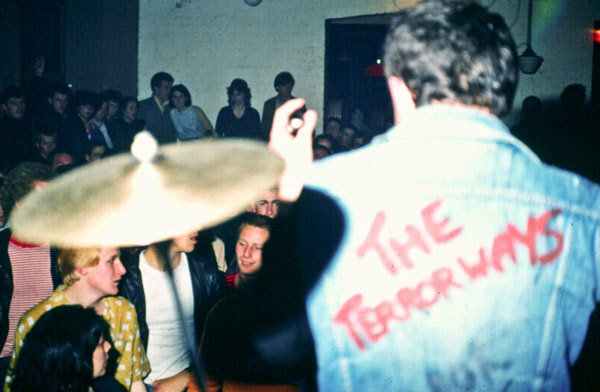 One day though I received a call from John No-one of The Terrorways saying the group would like to reform for a night. This was big news. AK79 was an album that celebrated the 1978-79 scene. The rough and tumble bands were gone, as was the thrash of full speed punk. Apart from The Spelling Mistakes and Christchurch transplants The Androidss, bands were starting to play more tuneful songs and ska was back in vogue. The Instigators were a ska band that played a lot at XS to great acclaim and bands such as Top Scientists, The Newmatics and Blam Blam Blam were not afraid to add brass instruments to the guitar, bass and drum core of rock. From Wellington we hosted The Crocodiles and Shoes This High. Pop Mechanix, The Gordons and The Androidss came from Christchurch. We were too late for Toy Love and too early for Flying Nun. My biggest regret was not seeing through the idea of recording The Swingers live on stage at XS, but it seemed to be prohibitively expensive at the time. The end came with a burglary and the cancellation of our insurance. Because the men’s loo was having to be replaced most weekends, our insurance company dropped us and when the stereo disappeared from the office with a lot of my LPs and all the food, I became disheartened. The council began to blame us for the upsurge in neighbourhood graffiti, which was hard to disprove since it was mostly in the form of band names scrawled on Airedale St walls. Finally they pulled the monthly lease and we “sold” the premises to a company that reopened it as a place to go for pudding after a restaurant. They renamed XS “Just Desserts” and didn’t last terribly long before the council finally moved on the Mayoral Drive project and bulldozed the place. Ripper Records released a compilation LP called Goats Milk Soap at the start of 1982 with a cover shot I took of Garry leaning over a swimming pool where the XS Café sign can be seen sunken beneath the water. Sheryl moved south to Tawa, I went on tour with The Swingers and was offered a job at 2ZM in Wellington in November. It was the closing of a chapter. …and apologies to anyone I missed.